I dont understand your rating system on the different map points? On Suez conquest for instance there is no objectve G but you’ve got pioint G listed. Also what do you mean by old school? Ok it makes more sense now. I don't use the gun much either. Rushing a crowd of enemies is usually a recipe for death though (A crowd being 3 or more especially if they are looking in your direction.) But I get what you mean. 5 stars or one star? Also, you left out C on Suez which is one of the most epic points to ride a horse. Being the central point its often heavily contested on both sides and the big sand dune running perpendicular to enemy lines is a great place to run up and over and along to get cover and heal. Also Ballroom blitz is a pretty good horse map especially point D.
Rupture is actually a really good horse map too. Caporetto is great horse map too. Don't forget about point C. You can do work there and have plenty of cover running up and down, in and out of that canyon on C.
Your rating system should really list all the points on the map and then maybe give only one or two stars to the points that are not very good. For instance I would give C on Ballroom blitz one star as its pretty difficult to stay alive for a long period inside the hallways of the building. Also I get that you have listed which faction is best for each point but I don't think faction is that important and could be left out of your system to simplify it. What makes a good point is how free it is of obstructions to the running horse, how much cover it has available for the horse to duck behind and heal and how heavily contested it is by both sides. I might have left some out but that's it off the top of my head. Ok it makes more sense now. I don't use the gun either. Rushing a crowd of enemies is usually a recipe for death though (A crowd being 3 or more especially if they are looking in your direction.) But I get what you mean. Your rating system should really list all the points on the map and then maybe give only one or two stars to the points that are not very good. For instance I would give C on Ballroom blitz one star as its pretty difficult to stay alive for a long period inside the hallways of the building. Also I get that you have listed which faction is best for each point but I don't think faction matters too much really and probably could be left out of your system to simplify it. What makes a good point is how free it is of obstructions to the running horse, how much cover it has available for the horse to duck behind and heal and how heavily contested it is by both sides. All horse maps are good lance maps because the lance is so much better than the saber. No one expects the reach and phantom hitboxes on that thing. Saber cav is trash and 90% of the time I end up roadkilling the guy instead because the hitbox is so tiny. if your enemies own tank hunter or 100SS Artillery Truck, Suez and Fao are not good map for cavalry. if you rush point c on Suez, you need to go through point b or d, and escape to point b or d.
if you rush a crowd of enemies with lance, you can also use grenades as sword on the right hand. I agree with your top 3 entirely. Lupkow pass is the best map in the game for using the horse, caporetto is also a great map for horses and more importantly it's the map with the most potential horses in play, and soissons is IMO the best map in the game - it's also a good horse map. 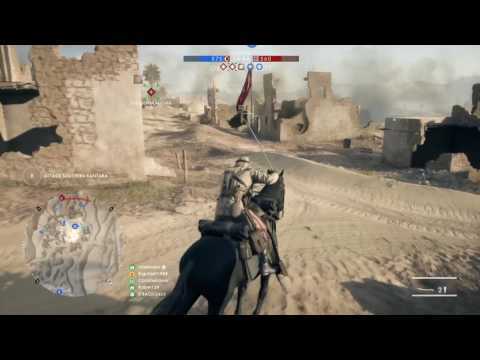 Passchendaele is one of my favorite horse maps as well, especially for the lance. It's chaotic, it's fun, each teams get two horses and i'm pretty sure they respawn faster than normal. Shout out to rupture . It's an interesting horse map and actually one of my favorites especially if your on the team on the same side of the river as the extra horse spawns as generally that means your team keeps the base. Nivelle Nights - i know you only get one horse per team, which is honestly the only major downside. I actually really love this map, the center area is great for the horse, and the trenches area are great as well - albeit it's a bit of a double edge sword as they can screw you over too. Keep in mind though that with practice you'll find that the trenches are actually pretty great for horse, if you have the control. Ballroom Blitz - i won't elaborate much on this other than to say that it was probably my favorite horse map in the vanilla game (before any of the DLC came out). Otherwise your list is entirely fine although i might not have them in any particular order, albeit i think my least favorite horse map is Sinia (excluding tsaritsyn cause that map is just bad in general)- probably because it's overplayed but also because planes can be really annoying, with sight lines too long, lack of cover, lack of effective AA placement, generally being spread out - leads to planes being really effective, especially an annoying tank hunter. That's not to say it can't be good- sinia desert is generally better for the rifle, which i'm fine with, but my primary is melee all the way. Why is Galicia number 12 while there is no number 11? Galicia is a great map for Cavalry, i finished MVP several times on this map. 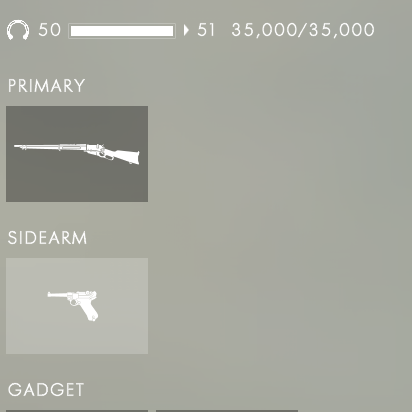 I didnt use the gun for a long time, but i use it now and it's a beast, if you get used to aiming it's a 1 or 2 shot sniper killer. What no love for Scar? I love using cav for that map, it is a real challenge and one spawn means you lose 90 seconds per death. Forces you to be efficient with rifle, emphasizes smart flanks for melee. Also good map to harass tanks on. Yeah just a headspace on no number 11. Galicia is a good map too for horses I guess. I don't use the rifle much and am focused primarily on melee and grenades. So one problem I have with it is the relative lack of cover when I need to run away and heal. I guess my list is focused on a melee style of horse. It's still a good horse map though. Yeah St Quentin Scar is a good map. My biggest problem is as you said there is only one horse spawn. I see what you are saying about taking it as a challenge to stay alive. Maybe I''ll try it that way sometime. My style lately is a little more suicidal and I'll often for instance suicide with point blank grenades on a juicy armored car just to make sure I get the kill and knowing I can spawn another horse pretty quickly. And I'm sometimes a little overaggressive trying to get a kill, knowing I can spawn again if needed. So I usually prefer maps that have two or three horse spawns. Scar is still a good horse map though from the standpoint its pretty easy to navigate and offers cover for ducking bullets and healing. On Galicia i mostly circle around the hill near objective C, most kills i make are melee aswell, but i am getting better with the 1895 winchester each day. Between D and A is too much space for snipers and support so i stay away from these objectives most of the time. Flanking B coming from objective C also works pretty good for me most of the times. Also there are lots of light armoured vehicles on this map which are pretty easy to destroy. On Scar i always try to get the Tank Gewehr and hop back on the horse to destroy a lot of vehicles coming down the hill. Also for intense cav play, work on your niville nights routes. I love navigating the map and staying out of the trenches, or dipping in and knowing the exact jump cooldown timer to escape. Played last night and dropped 40 trample/melee kills. Knowing strong routes instead of actively hunting kills seems to work better. Staying in the right lanes and not straying too far off course helps avoid dropping into a dead end or dead zone where you get melted. And that map definitely favors the sabre. 40 kills on Niville! You are doin work man. And hooray for the sabre. I'm glad to see someone else that appreciates how well it works with the trample. Sometimes I wonder if there is a bug where it says you get a trample kill but it was actually a sword kill. The reason I say that is sometimes I swing the sword and I hear the metal clanking sound it makes when it hits but it says it was a trample kill. I dunno. I'll take the kill either way.